Parenting with Intellectual Disability: what does it take to make it work? The challenge now is to get people who fund services and those working with parents with intellectual disability to put what we know works into practice. In the online video, We are a Family (IDRS 2012), the interviewer asks Charole, “So when did you decide you wanted to be a mum?” Without hesitation she responds, “Forever! As long as I can remember I have wanted to be a mum”. In the same video Robert, flanked by his teenage son and daughter, speaks with pride and wisdom about fatherhood and family life. Charole and Robert represent a growing number of men and women with intellectual disability entering into intimate relationships, marrying if they choose and forming a family (Article 23 UNCRPD). Which adults with intellectual disability are likely to become parents? Adults with intellectual disability who are also parents tend to belong to what Edgerton (2001) refers to as the “hidden majority”. Their cognitive limitations are in the mild to borderline range. For the most part they are living ordinary lives in the community, with their cognitive difficulties being dependent on context, and task-dependent. For the most part they are not traditional users of disability specialist services, but at the same time often struggle to have their needs satisfactorily met through mainstream services. While it is recognised across western countries that there are a growing number of people with intellectual disability becoming parents, due to their ‘hiddenness’ in the community it is hard to accurately measure their prevalence. A recent Australian study by Man, Wade and Llewellyn (2016), used social security data to calculate the prevalence of parents with intellectual disability by linking individuals in receipt of a disability support pension with those receiving a parenting allowance. They calculated that parents with intellectual disability represented 0.41% of the Australian parenting population. Studies conducted elsewhere, for example in the Netherlands and Germany, calculated the prevalence of parents with intellectual disability to be around 1.5% (Willem et al. 2007; Pixa-Kettner 2008). People with intellectual disability who parent is not novel or new. However, opposing forces, particularly through the Eugenic campaigns in the first half of the 20th century, entrenched a belief in people’s minds that parenting with intellectual disability was morally wrong and a threat to civil society. Such false and damaging claims resulted in people with intellectual disability having their social freedoms restricted and their sexual rights violated. The Deinstitutionalisation movements, the banning of sterilisation, the embedding of human rights principles into legislation, policy and practice have created greater opportunities for adults with intellectual disability to live ordinary lives and do ordinary things such as fall in love and have children. In saying this, however, parenting by people with intellectual disability continues to experience opposition and barriers (McConnell, 2008, p. 297). For many young adults with intellectual disability, the subtle (and sometimes not so subtle) message they receive is that marriage and babies are not for them. For many young adults with intellectual disability, exploring one’s sexuality and engaging in intimate relationships is something they have to negotiate sometimes in secret and without support and guidance. The announcement of a pregnancy is often met with disbelief and dismay (Mayes et al. 2006). On giving birth, parents report feeling scrutinised and judged; and live with the constant fear that one wrong step or lapse in judgement could lead to their children being removed (Llewellyn & McConnell 2010). These fears are not without basis. Researches undertaken across jurisdictions and countries show parents with intellectual disability are over-represented in care proceedings and child custody matters. McConnell, Feldman and Aunos (2010) found approximately 10% of care proceedings in Canada involved a family headed by a parent or parents with intellectual disability. Booth and Booth’s (2004) UK study found that 15.3% of care matters involved a parent with intellectual disability. The research also shows that the circumstances which trigger these families coming before the court are, in some jurisdictions, based on nothing more than the parent having the label of intellectual disability (Lightfoot et al. 2010); or for incidents often of lesser severity, and more ambiguous, than in matters involving their non-disabled peers (McConnell & Llewellyn 2010). Furthermore, once before the court these parents receive “rough justice” (Booth & Booth 1996 p.81). They are often denied procedural fairness and are subject to parenting capacity assessments that are discriminatory, tardy and ill-informed (Cox et al. 2015). Finally, in terms of court outcomes, parents with intellectual disability are more likely than any other group, including parents with drug and alcohol issues or mental health problems to have their children placed in out-of-home care (McConnell 2008 p. 301). So in sum, while today’s generation of mothers with intellectual disability may get to hold their babies they struggle to keep them, with the estimation that between 40-60% of parents with intellectual disability lose custody of their children before they reach school age (Booth & Booth 2004, p.180). No-one who champions the rights of parents with intellectual disability will suggest that children in need of care should be left in situations that are harmful and dangerous. However, their removal from their family of birth should not be based on prejudicial assumptions and a lack of will to support them and their parents. Robert, towards the end of the We are a Family video, sums up what parents with intellectual disability want when he states “All we want is just to be given a chance”. So what does giving parents with intellectual disability ‘a chance’ involve? First and foremost it means ensuring potential parents with intellectual disability are well prepared for parenthood. This means starting well before the pregnancy test comes back positive! Preparation for parenthood needs to commence with young adults with intellectual disability having access to sexual health education in their school years. For young women with intellectual disability, their sexual wellbeing and self-esteem need to be fostered through educational and support programs that give them a great sense of control over the choices they make, and help them to identify and choose positive relationships (Cuskelly & Bryde 2004). Secondly, support needs to be provided to their families. Parents with intellectual disability who succeed as parents tend to have positive family support networks they can turn to and rely upon (Wade et al. 2011). For many parents the thought of their young adult child who has intellectual disability having a child keeps them awake at night. Having reared their own children they worry about becoming grandparents and literally being “left holding the baby”. Their concerns should not be discounted or judged. If having a child is a life goal for a young adult with intellectual disability, they and their family need to be able to discuss this in a way that does not lead to relationships being frayed or breaking down. Families need to be able to access information, support and counselling in order to have these conversations. Where young adults with intellectual disability do not have family to turn to, in these formative years, they need to be linked to adults who can serve as positive role models and mentors. Moreover, we need to ensure adults with intellectual disability who embark on parenting are living in conducive environments. Research consistently highlights that it is the people with intellectual disability that experience economic and social disadvantages which impact on their life choices and fulfilling their goals (Emerson 2007). For those living in social housing, efforts need to be made by housing authorities to ensure that people with intellectual disability are placed in neighbourhoods where they are less likely to be taken advantage of or bullied; and, on becoming parents, are more likely to be able to access support from within their communities. When adults with intellectual disability find out they are having a baby, it should be as a result of choice not chance, highlighting the importance of accessible and affordable family planning. Through their pregnancy they also need to feel safe to ask questions and seek out support. Change UK have developed a number of excellent easy read resources including My Pregnancy, My Choice which midwives can use with parents with intellectual disability to help them be better informed (visit: www.changepeople.info/product /my-pregnancy-my-choice/). Once they become parents they need to feel safe to ask for support. Supports need to be formulated in collaboration with parents (Spencer & Llewellyn 2007). Where more than one service is involved, support needs to be co-ordinated with all services being consistent, so they do not work at cross-purposes and moreover give the parent mixed messages and advice. Supports need to be tailored to the family’s situation and parent’s learning style. Research findings are consistent – parents with intellectual disability are capable of learning parenting skills. There is now a range of evidence-based parent education programs specifically designed for parents with intellectual disability. These programs use applied behavioural methods that involve targeting skills which the parent prioritises and is interested in, and that undertake training in the context in which the parenting skills and behaviour are to be applied. Within those programs, tasks are broken down into teachable steps – modelling, visual instructions and physical guidance are used to support learning. Numerous opportunities are then provided for the skill to become part of the parent’s parenting repertoire (Wade et al. 2008). In addition to providing adapted parent education, parents with intellectual disability also need to be supported to connect with other parents for the purposes of support and normalising their parenting experience. Once again, there have been a number of successful group-work programs, which demonstrate the effectiveness of bringing parents with intellectual disability together in order to strengthen parental self-esteem and confidence, as well as reducing social isolation and fostering social relationships (Booth & Booth 2003; McGaw et al. 2002). Support should also be holistic and family-focused. Research highlights that mothers with intellectual disability often have physical and mental health issues that can impact on their parenting (Emerson & Brigham 2013). It is important that support be offered to address overall maternal wellbeing. Access to employment opportunities can also foster family wellbeing. Specific services also need to be provided for their children. Particularly where children show signs of developmental delay, it is important that these issues are fully assessed and responded to proactively, rather than being assumed to be a result of parental neglect or incapacity. For school-aged children, access to mentors for example, through the Big Brother Big Sister programme, can help foster resilience and extend children’s social and educational horizons (https://www.foroige.ie/our-work/big-brother-big-sister). Moreover, a long-term and flexible view needs to be taken in supporting parents with intellectual disability and their children. At times, for a variety of reasons, a family may require the supports they receive to be re-negotiated. This should not be viewed as a sign of failure, but understood as part and parcel of the family’s trajectory. Finally, when parents have to negotiate systems – for example, the health system, education system and more particularly the child protection system, parents with intellectual disability benefit from the support of specialist advocates. They can explain things, ensure the parent’s voice is heard, offer practical and emotional support, facilitate constructive communication and challenge discriminatory attitudes and practice where they may exist (Tarleton 2008, 2013). Internationally, there is a strong and growing group of researchers, practitioners and parent self-advocates committed to improving outcomes for parent with intellectual disability and their children. The International Association for the Scientific Study of Intellectual Disabilities (IASSID) Special Interest Research Group (SIRG) on Parents and Parenting with Intellectual Disability is committed to bringing together researchers from around the world to disseminate knowledge for policy and practice (McConnell 2008). Healthy Start (www.healthystart.net.au) is an Australian initiative aimed at building capacity across disciplines and sectors using evidence-based research, to respond and support parents with intellectual disability and promote a healthy start to life for their children. The Healthy Start website provides excellent and accessible materials for policymakers, practitioners and parents. In the UK, the Parents Working Together Network (www.bristol.ac.uk/sps/wtpn/) also provides a platform for professionals to share positive practice and bring key stakeholders from across sectors. This network is working closely with self-advocacy organisations and is guided by advice from parents with intellectual disability. Policymakers, practitioners, advocates and parents with intellectual disability in Ireland are encouraged to make use of these resources to continue to create positive futures for parents with intellectual disability and their children. Booth, T., & Booth, W. (1996). Parental competence and parents with learning difficulties. Child & Family Social Work, 1(2), 81-86. Booth, T., & Booth, W. (2004). Findings from a court study of care proceedings involving parents with intellectual disabilities. Journal of Policy and Practice in Intellectual Disabilities, 1(3‐4), 179-181. Cox, R., Stenfert Kroese, B., & Evans, R. (2015). Solicitors’ experiences of representing parents with intellectual disabilities in care proceedings: attitudes, influence and legal processes. Disability & Society, 30(2), 284-298. Cuskelly, M., & Bryde, R. (2004). Attitudes towards the sexuality of adults with an intellectual disability: parents, support staff, and a community sample. Journal of Intellectual and Developmental Disability, 29(3), 255-264. Edgerton, R. B. (2001). The hidden majority of individuals with mental retardation and developmental disabilities. In The forgotten generation: The status and challenges of adults with mild cognitive limitations (eds A. J. Tymchuk, C.K. Lakin & R Luckasson) pp 3-19. Paul H. Brookes Publishing. Baltimore. Emerson, E. (2007). Poverty and people with intellectual disabilities. Mental retardation and developmental disabilities research reviews, 13(2), 107-113. Emerson, E., & Brigham, P. (2013). Health behaviours and mental health status of parents with intellectual disabilities: cross sectional study. Public Health, 127(12), 1111-1116. Lightfoot, E., Hill, K., & LaLiberte, T. (2011). Prevalence of children with disabilities in the child welfare system and out of home placement: An examination of administrative records. Children and Youth Services Review, 33(11), 2069-2075. Llewellyn, G. (2002). Relationships and social support: views of parents with mental retardation/intellectual disability. The Best of AAMR: Families and Mental Retardation: A Collection of Notable AAMR Journal Articles Across the 20th Century, 259. Llewellyn, G., & McConnell, D. (2010). You have to prove yourself all the time: people with learning disabilities as. Learning Disability: A life cycle approach, 311. Mayes, R., Llewellyn, G., & McConnell, D. (2006). Misconception: the experience of pregnancy for women with intellectual disabilities. Scandinavian Journal of Disability Research, 8(2-3), 120-131. McConnell, D. (2008). Parents labelled with intellectual disability: Position of the IASSID SIRG on Parents and Parenting with Intellectual Disabilities. Journal of Applied Research in Intellectual Disabilities, 21(4), 296-307. McGaw, S., Ball, K., & Clark, A. (2002). The effect of group intervention on the relationships of parents with intellectual disabilities. Journal of Applied Research in Intellectual Disabilities, 15(4), 354-366.McConnell, D., Feldman, M., Aunos, M., & Prasad, N. (2010). Child maltreatment investigations involving parents with cognitive impairments in Canada. Child Maltreatment, 1077559510388843. Pixa‐Kettner, U. (2008). Parenting with intellectual disability in Germany: Results of a new nationwide study. Journal of Applied Research in Intellectual Disabilities, 21(4), 315-319. Spencer, M., & Llewellyn, G. (2007). Working things out together: a collaborative approach to supporting parents with intellectual disabilities. Planning and support for people with intellectual disabilities: Issues for case managers and other professionals, 171-190. Tarleton, B. (2008). Specialist advocacy services for parents with learning disabilities involved in child protection proceedings. British Journal of Learning Disabilities, 36(2), 134-139. Tarleton, B. (2013). Expanding the engagement model: the role of the specialist advocate in supporting parents with learning disabilities in child protection proceedings. Journal of Public Child Welfare, 7(5), 675-690. Wade, C., Llewellyn, G., & Matthews, J. (2008). Review of parent training interventions for parents with intellectual disability. Journal of Applied Research in Intellectual Disabilities, 21(4), 351-366. Wade, C., Llewellyn, G., & Matthews, J. (2011). Modelling contextual influences on parents with intellectual disability and their children. American journal on intellectual and developmental disabilities, 116(6), 419-437. Willems, D. L., De Vries, J. N., Isarin, J., & Reinders, J. S. (2007). Parenting by persons with intellectual disability: an explorative study in the Netherlands. Journal of Intellectual Disability Research, 51(7), 537-544. Margaret Spencer lectures in Social Work at the University of Sydney. Margaret’s interest in parents with intellectual disability is academic, professional and personal. Margaret’s research focus is on support for parenting with intellectual disability and is currently an executive member of the IASSID SIRG on parents and parenting with intellectual disability. 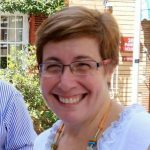 She has over 30 years’ experience supporting families where one or both parents have intellectual disability, as a family support worker and advocate. Margaret is also actively involved on a day-to-day basis supporting her god-daughter who is a mother with intellectual disability.